Inquire about GUATEMALA YOGA retreat. 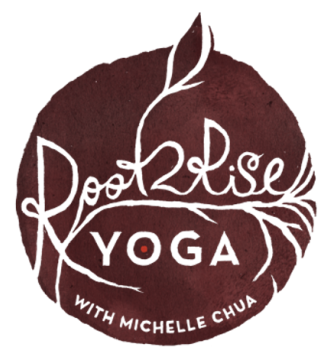 Enjoy a heart-centered yoga practice with Michelle Chua twice daily, as you immerse yourself in the spirit of gratitude. Guatemala is the perfect setting to connect to gratitude as you explore its rich indigenous arts, culture and natural beauty enhanced by your daily practice of guided yoga and meditation with Michelle Chua of Root 2 Rise Yoga. Absorb the tranquil scenery and grounding energy of Lake Atitlan and embody the water’s graceful fluidity as you journey by boat across the majestic lake, expanding your perspective and experience at three different lodging sites in Santa Cruz La Laguna, Santiago La Laguna and the historic colonial town of Antigua. Diversify your days exploring on your own, enjoying group tours and hikes, visiting local artists, pampering yourself with spa treatments, volunteering at a local school or agricultural site or relaxing in your lovingly-handpicked, clean and spacious accommodations. In the gardens of Posada Santiago, our retreat site for two nights in Santiago Lake Atitlan, a larger town with picturesque views of the other side of the vast lake. We'll visit artisan markets in Lake Atitlan and Antigua, as we explore Guatemala's traditions and culture. Villa Sumaya, our first retreat lodging in Santa Cruz Lake Atitlan for four nights. We'll spend our last night in the historic town of Antigua as we head closer to the airport in Guatemala City. Our hotel for one night in Antigua is walking distance from colonial ruins, markets, the central park, restaurants and more.